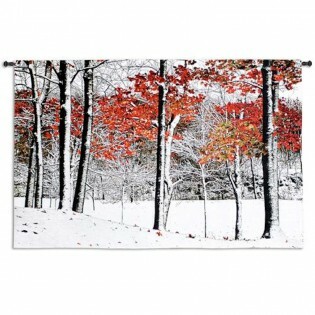 A striking contrast in hot and cold, Early Snowfall Wall Tapestry is woven with striking black and whites then reds and yellows are added for a powerful detailed forest scene. Made in the USA. 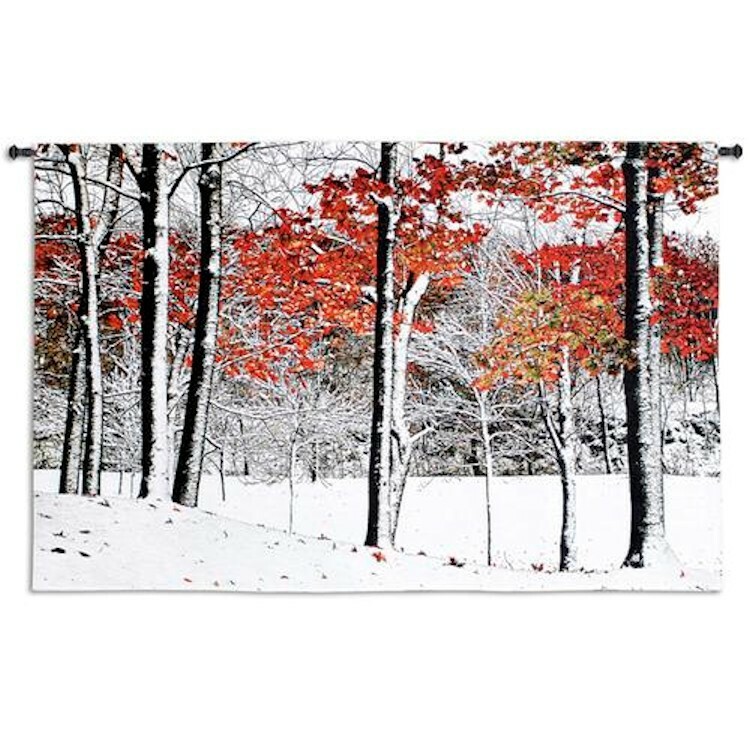 A striking contrast in hot and cold, Early Snowfall Wall Tapestry is woven with striking black and whites then reds and yellows are added for a powerful detailed forest scene.